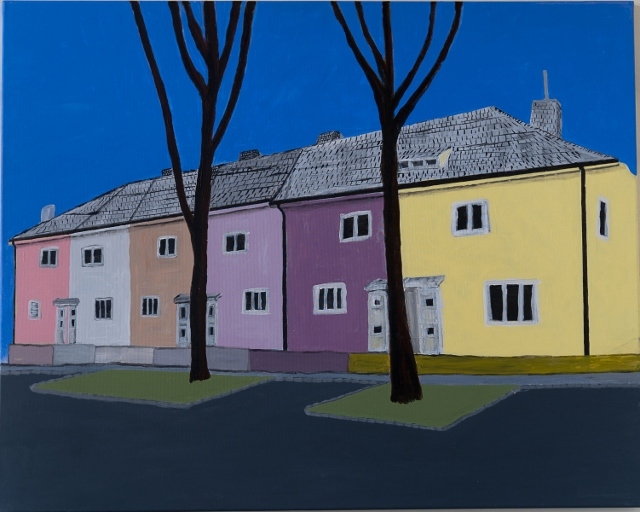 This series of paintings ‘Homing Instincts’ investigate the complex concept of home – the geographical and psychological space we occupy and consider as our space, where we belong and feel part of as in your home – country! There are millions of people on the move in this world at any one time (220 million in 2013 – International Organization for Migration), what do they have to do to feel at home in their new destination? How do we psychologically contemplate and develop our new mental concepts of home, our identities and our new places of permanent residence? Nationality, identity, belongingness, homelessness, migration and immigration are a few terms that pop up – the tip of the ‘iceberg’ when you enter and explore the concept of home. 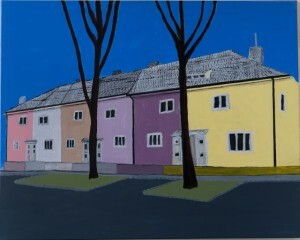 These paintings investigate a possible process of how we accumulate our feelings of belongingness or homeliness. I explore the fleeting images that I constantly and continuously perceive on a daily basis as I traverse my adopted city of Vienna – On my regular drives and travels through the city, I take snap shots of these fleeting images with my phone, that register in my consciousness and that I repeatedly see every day. 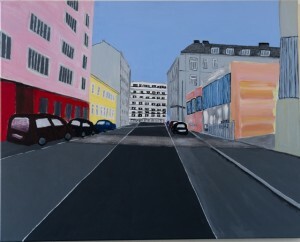 I work, draw and paint from these images transferring my subconscious memories from personally developed and arrived at methods onto the canvas. 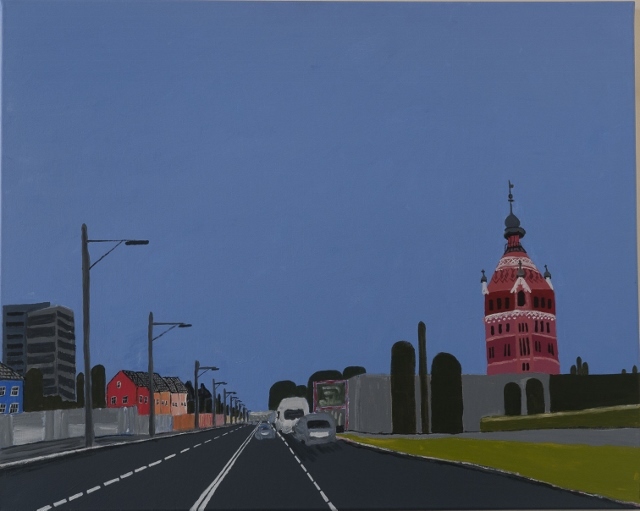 James P Kinsella, ‘Herschelgasse’, 2013, 80cmx100cm, acrylic on canvas. 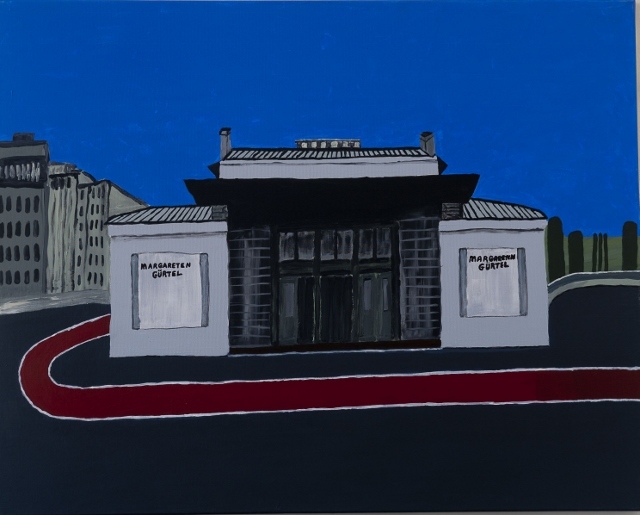 James P Kinsella, ‘Hofbauergasse’, 2013, 80cmx100cm, acrylic on canvas. 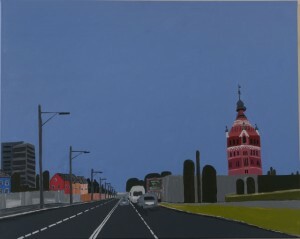 James P Kinsella, ‘Raxstraße, Wasserturm’, 2013, 80cmx100cm, acrylic on canvas. 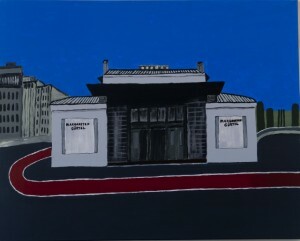 James P Kinsella, ‘U4’ Margaretengürtel, 2013, 80cmx100cm, acrylic on canvas.